How did Tony Stark and Spider-Man survive on titan? Tony Stark and Spider-Man both are normal human beings, so how can they survive on Titan without any oxygen and also with their power suits broken completely. Tony Stark and spider-man both are normal human being so how can they survived on titan without any oxygen and also their power suit broke completely. Because Titan's atmosphere appears to be the exact same as Earth's. Notice the blue skies and white clouds, the green plants, and the water. Since water consists of oxygen, and, since green plants contain chlorophyll (which contains oxygen), then, it's safe to assume Titan had extremely similar, if not the same, kind of atmosphere as Earth. Atmospheric temperature seems to be the same. I.e., nobody is sweating profusely or freezing cold while on Titan, which suggests that the temperature is within Earth's range of temps (or at least, for the duration of their time on Titan it is). 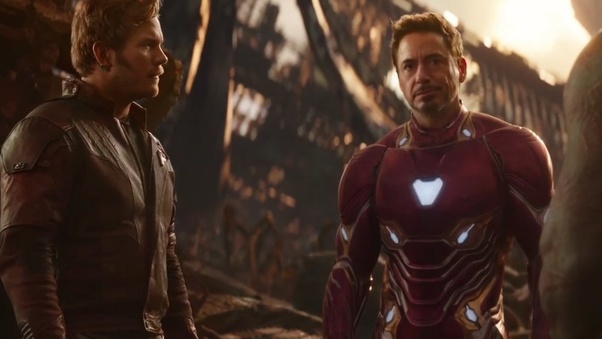 A theory could be that Tony & Peter take off their helmets once their suit AI detects(off-screen) that Titan has oxygen to breath. If there was no oxygen to breath they would continue using their helmets/masks. Did Tony post guys outside of Happy's hospital room and have them require badges to get in? How did Iron Man record his past days? How did the Captain of the Icarus I survive? Does Spider-Man (or Peter Parker) have a problem with real spiders? How did Tony Stark obtain Thor’s Magic belt (Megingjord)? How did Bellamy, Murphy, et. al. survive in the Ark for 6 years, when the oxygen generating system supposedly failed?